WASHINGTON, D.C. — A number of pipeline projects that have been approved, or are in various stages of the approval process, would increase capacity to transport natural gas from the Utica production region in Ohio to natural gas markets. Collectively, these projects could add up to 6.8 billion cubic feet per day (Bcf/d) of takeaway capacity out of the Utica region by the end of 2018. Over the past several years, natural gas production in the Appalachian basin from the Marcellus and Utica shales has grown significantly. According to the U.S. Energy Information Administration, because pipeline projects often have longer lead times than production projects, transport infrastructure for accessing natural gas demand centers and export locations in the Appalachian Basin has not kept pace with production capability. This situation has resulted in a lower price for natural gas from the Appalachian region relative to many other natural gas trading hubs in the U.S.
Construction of a new interstate natural gas pipeline in the U.S. requires approval by the Federal Energy Regulatory Commission (FERC), which can be a lengthy process. Construction on a pipeline can begin once a final environmental impact statement is issued, pending that project receiving Clean Water Act, Coastal Zone Management Act, Clean Air Act, and other necessary state permits. 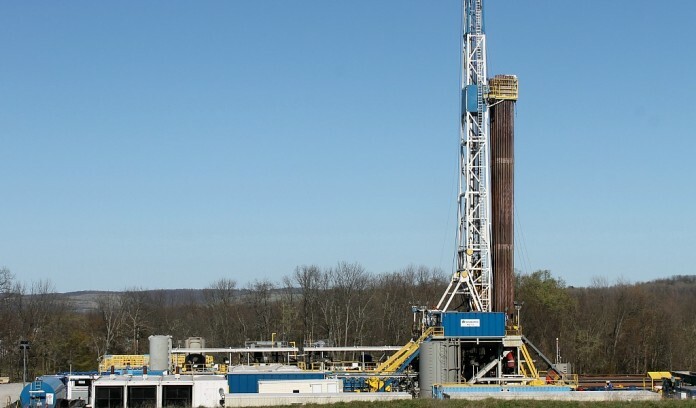 • The Rover pipeline, which recently received a final environmental impact statement from FERC, is designed to transport 3.25 Bcf/d of natural gas from the Marcellus and Utica Shale areas to various market hubs. • The Leach Xpress project, which received a draft environmental impact statement (DEIS) from FERC, seeks to add 1.5 Bcf/d of natural gas takeaway capacity along the Columbia Pipeline Group’s network. • The Rayne Xpress project, which received a DEIS, will augment the Leach Xpress project. The Rayne Xpress Project seeks to add 0.6 Bcf/d in takeaway capacity from the Columbia Pipeline system to Gulf Coast markets, which will help facilitate liquefied natural gas exports, among other uses. • The Nexus Gas Transmission project, which received a DEIS from FERC in July 2016, is designed to deliver 1.5 Bcf/d of natural gas supplies from the Utica region to markets in northern Ohio, southeastern Michigan, the Chicago Hub in Illinois, and the Dawn Hub in Ontario, Canada.